Jewish settlements in the West Bank are once again at the center of a political showdown, with Israel's parliament rejecting a bid to legalize them due to pressure from Prime Minister Benjamin Netanyahu. Netanyahu has promised to relocate them from private Palestinian land to a military zone in the same area, where some 300 new housing units will be constructed. Yet, this plan promises to bring only more criticism from Palestinians and the international community. While unauthorized Israeli settlements are growing as the Palestinian territories shrink accordingly amidst fruitless negotiation attempts, the Israeli Defense Minister came out with a statement that raised more than a few eyebrows. Ehud Barak suggested a possible “unilateral move,” implying separation from the occupied territories and a non-negotiated definition of the border. He backed his statements with the claim that he was merely expressing the desires of a majority of Israeli citizens, who do not want to wait for negotiations that could easily end in failure. He did not go into detail as to what this border would be, or where it should be drawn. US Secretary of State Hillary Clinton instructed Israel that the only way to tackle the issue is by way of bilateral talks. She kept to herself the fact that there have been no real talks since 2000, and in 2010 even meager attempts were broken off with Israel’s illegal settlement expansion into the West Bank. 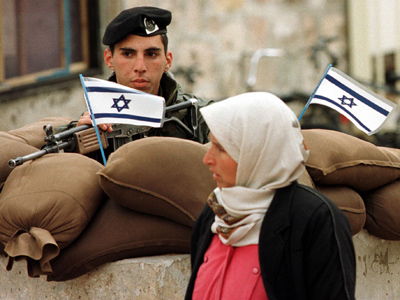 Israel and the Palestinian Authority disagree on the definition of borders. The US, EU and the majority of Palestinian internal powers believe that the only legitimate borders are those of 1967, and that settlement activity should be stopped. 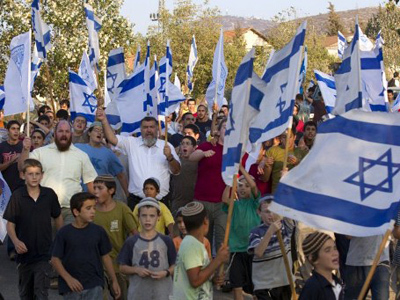 The settlers themselves, however, believe that there are no borders at all and that the settlements are an integral part of the State of Israel. It's clearly a deadlock, and has been for a long time. So, what is it that Barak wanted to try out? “Israel cannot afford stagnation. 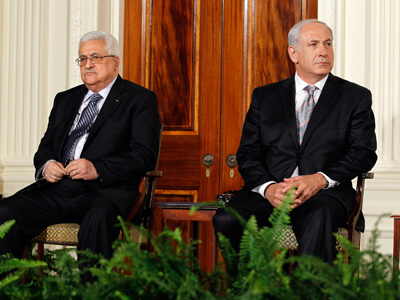 It will be a difficult decision to make, but the time is running out,” was Barak’s reasoning. Pressure from the Arab Spring and growing anti-Israeli sentiment the world over seem to be becoming felt. In that connection, a BBC World Service poll has shown that perceptions of Israel are growing worse, and that currently the country is the world’s third-most negatively perceived power, after Iran and Pakistan, and sharing a place with North Korea. Eighty-five per cent of the population in Egypt, 74% in Spain, 69% in Germany, 68% in the UK, and 65% in France share a negative view of Israel. The EU, UK, Switzerland, Denmark and South Africa are introducing labeling rules for farm produce of Israeli origin, which in essence facilitates a boycott of Israeli exports, which come mostly from farms on land under Israeli occupation. Calls to boycott the illegal settlements and their produce have even come from pro-Israeli New York Times contributors – as a way to save Israel. At the same time, the Israeli authorities are making an attempt to at least appear cooperative. For instance, they agreed to talks with Palestinian prisoners on hunger strike in April, and as a result 1,500 people were able to stop starving themselves in protest. They also returned to the Palestinian Autonomy the remains of 91 Palestinians killed in past decades while carrying out attacks on Israel. So what should the suggested “unilateral move” be? Mustafa Barghouti, a Palestinian democracy activist, believes Barak was actually announcing Israel’s plans for the nearest future: to prevent the formation of a Palestinian state. “The territory will exclude Jerusalem and will be reduced to a number of reservations taking up no more than 40% of the West Bank,” he said. The Palestinian Authority has control over less than a third of the West Bank, which is nothing like homogenous territory. It contains many Israeli settlements and roads. 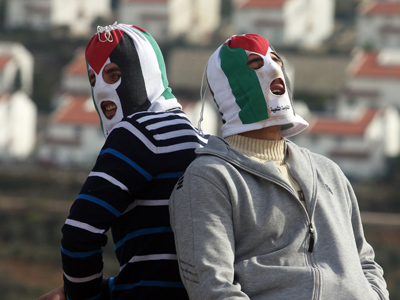 There are a total of 46 large settlements in the West Bank, with an aggregate population of over 500,000. 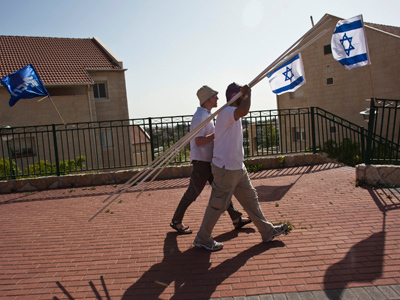 Both the settlements and the accompanying infrastructure are for Israelis only. Each settlement is guarded by a military unit, and the settlers themselves are armed – unlike Palestinians, the illegal settlers are free to carry arms. The West Bank has about 500 checkpoints through which no Palestinian can pass. Both the Jordan River basin and the Dead Sea shore have been expropriated from the Palestinian Authority – they are under the full control of the Israeli Army. No Palestinian is free to travel, for instance, from Ramallah to Jerusalem, or between any two settlements if they are separated by an Israeli checkpoint – neither for work, nor for medical services, nor even to attend a funeral or visit relatives. The Israeli West Bank barrier, designed to be over 700km long, is being built on Palestinian land and passes through Palestinian settlements, roads, houses and farms. The restricted access zone is set at 60 meters. 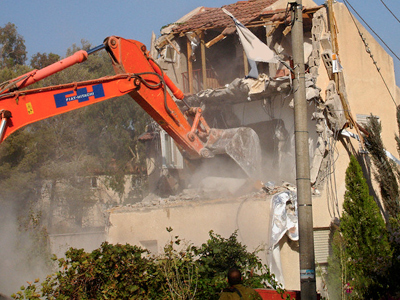 Some Palestinian residences ended up trapped by the barrier from all sides. The automatic tracking system is set to open fire at any target that approaches the barrier, be it animals, pets, or children. It does not seem likely that Israel can be pressured into just packing up and leaving behind dozens of its settlements. 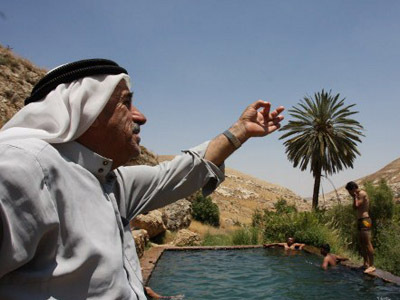 The Jordan, and the Dead Sea with its resorts, would become an island attacked by surges of Arab revolutions – especially since the most aggressive group of society, the settlers, seem to have no intention of leaving and giving up their benefits. Therefore, whether or not Barak’s ideas are implemented, the situation with the border is not likely not change significantly.